We've seen faded magazine scans of the 2015 Ford Mustang, yet somehow TIME magazine has the best images and permission to run them. We won't ask questions because these are the clearest photos yet. 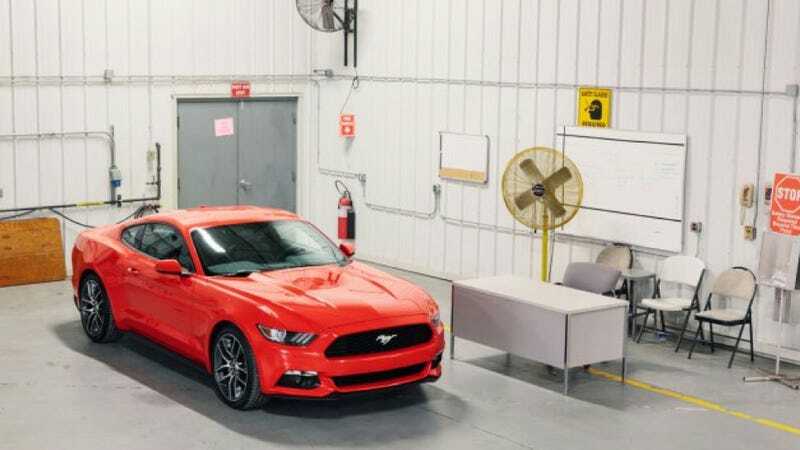 Officially, the new Mustang will debut tomorrow at 12:01 AM when the embargo — the agreement between publications and automakers to not publish info in exchange for getting it early — breaks. We didn't agree to the embargo, thus we can show you photos that even Autoweek is forbidden from showing. How TIME got Ford to agree to this early release I don't know, but the photos by Thomas Prior are the best yet. This, together with the YouTube leak of the new 'Stang's fastback give you the best idea yet of how the car really looks. We also, courtesy of Autoweek, have a pretty good understanding of technical specs for the 2015 Ford Mustang.